Arriving in Barcelona, we returned our Fiat 500l diesel after more than 1,000 miles of driving since Granada. We were back in a city with public transportation in abundance. Gone are the sparsely populated roads and relaxing pace. Barcelona is a big city with swarms of cars, buses, taxis, pedestrians, and lots of scooters. One of the palaces we saw on our first drive through the city. Our apartment was on the 6th floor of a condotel located in the heart of the city center. We were one block away from the famous pedestrian street “rambla de Barcelona” and only a couple of blocks away from the historical district called Barri Gotic with the Cathedral and old Jewish Quarter. This historical area with its ultra narrow streets and alleyways was almost exclusively for pedestrians for dozens of blocks. We have continually found it so impressive in all of the towns, but especially the larger cities, that the most vibrant and busy shopping and restaurant zones are without access by car. They could have developed the best shopping in the newer areas with easy parking and delivery, but they always select the historical areas. These areas have so much more character and charm than a typical shopping mall. 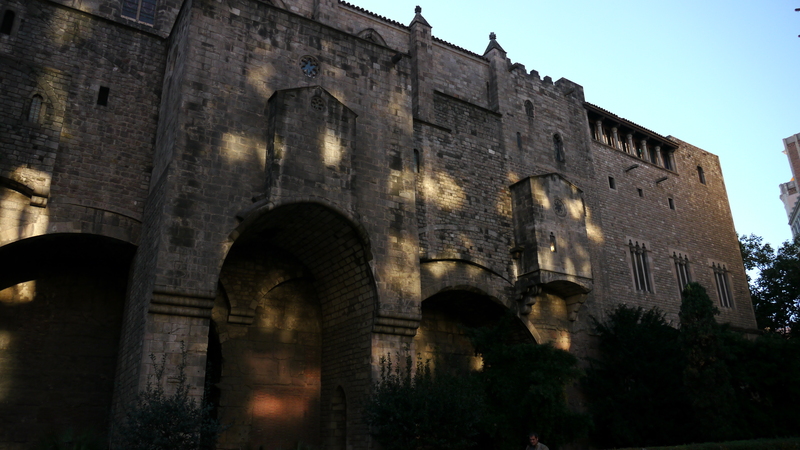 We typically wander these areas staring at the buildings and storefronts – most from the 14th century – fascinated at the tenure and history that they have lived. There is a formula to the streets. 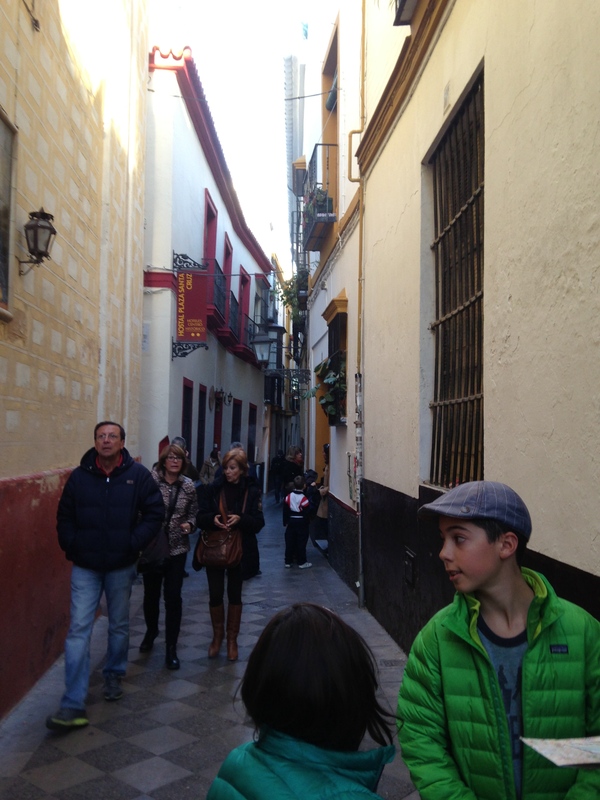 Every few blocks of narrow alleys, the “carrer” opens up and there is a plaza where the sun comes through and people can gather. There are usually café’s in the plazas and frequently temporary vendors selling their merchandise. Our apartment also was conveniently located around the corner from the Apple Store of Barcelona. The store is only one of a handful of Apple stores in Spain and it is a giant. With three floors and hundreds of people inside, it was packed. Susie had been searching for such a store since the Alhambra in Granada. 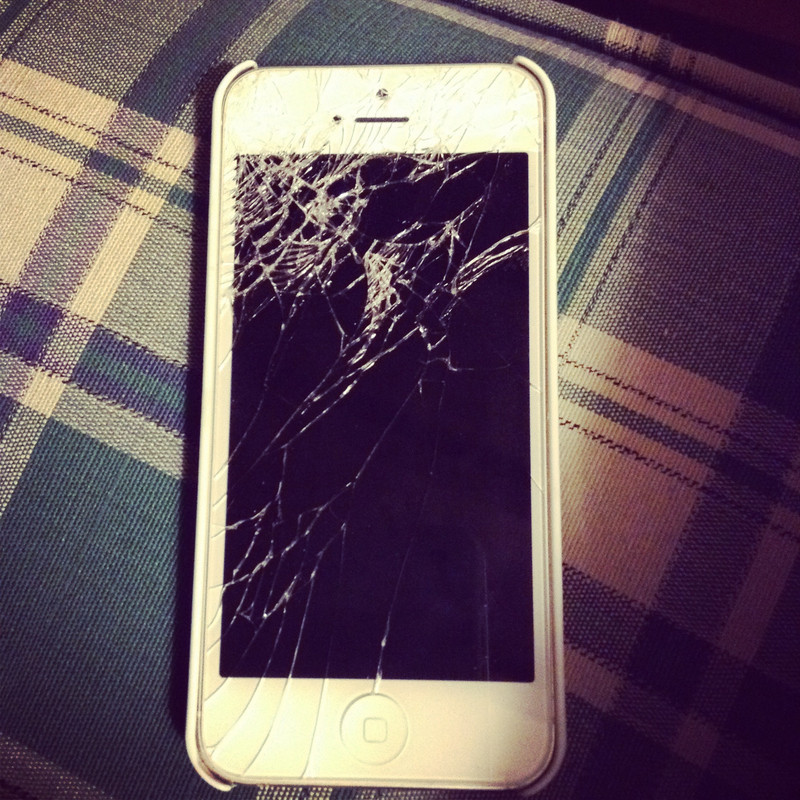 She decided to see what was harder, the screen on her iPhone or the 11th century stone walkway. See photo for the answer. After making an appointment ahead of time, we dropped off Susie’s phone and they had replaced the screen in two hours. Good as new (except for the cracked camera lens). The result: 13th century stone wins. 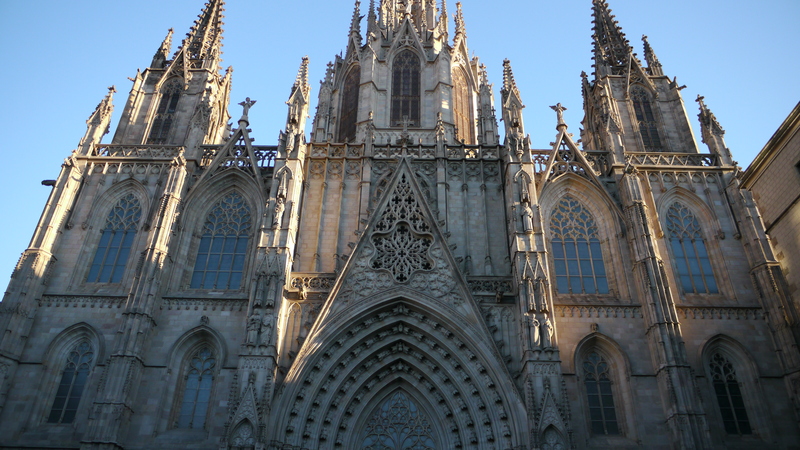 We did most of the requisite tourist duties such as Gaudí’s buildings and the Sagrada familia along with the historical buildings, Cathedral, and a couple of museums. But what seems to stand out most in my mind is the food. We have been traveling this “jamón” crazed country for 6 weeks now. We, as a family, have been eating meat less and less. Being in some more isolated towns such as the farmhouse in Angles for the past few weeks, we have started to eat at home almost exclusively. We will grab a pastry or a coffee while out, but our main meals have been home cooked. In Barcelona, we were finally treated to some excellent flavors. Thanks to Trip Advisor we found a wonderful selection of restaurants to choose from. We went to a really cool Indian street food restaurant called Surya for dinner one night. The food was amazing. They served traditional Indian spices but in a more Spanish type of preparation. For example, we had a tapa of Indian Tortilla. Tortilla is a Spanish style omelet with potatoes. Surya adds Indian spices to it and rolls it up and served traditional Indian chutneys alongside. My mouth just watered remembering it. We also found a small global chain called Maoz that simply serves falafel. You choose whether you want it in a pita or a bowl. That’s it. They hand it to you and there is a buffet of toppings that you can add to your falafel. It is pretty much a standing room only place, but you can make your way back to the toppings as many times as you wish – we wished a lot. This was the best falafel I have ever had and the toppings only amplified the flavor. The gothic cathedral next to the jewish quarter. 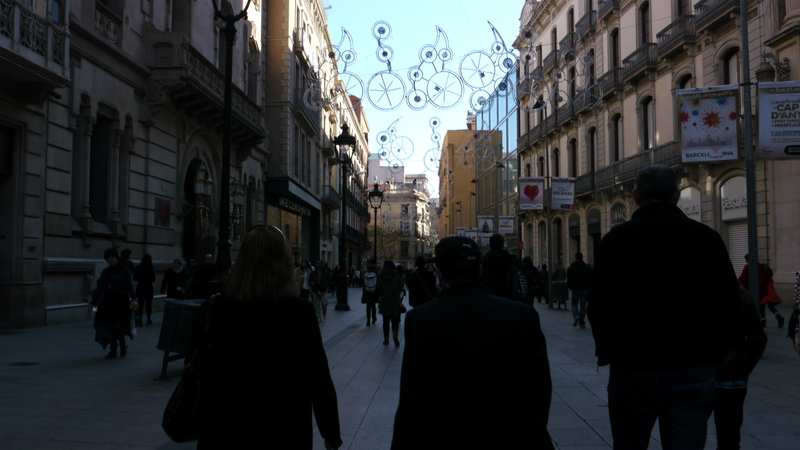 We only had a few days in Barcelona, but we enjoyed the vibrancy and the feel of the city. Susie and I ran along the beach one morning and were impressed with the well-developed facilities and the ancient port that had all been spruced up for the Olympics back in ’92. We are passing back through Barcelona for a night at the end of this week before flying out to Italy. We are already debating whether we go back to Surya or Maoz. If only there were a Taco Temple to solve our problem. 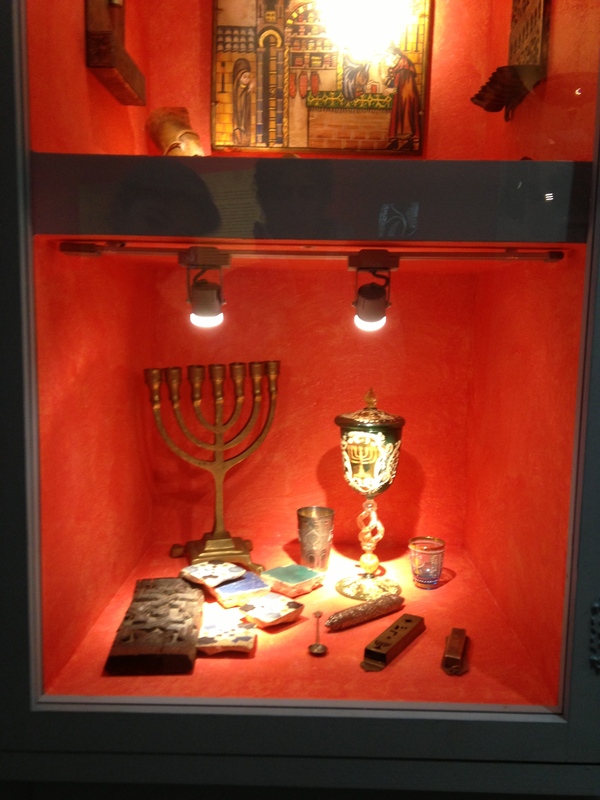 This entry was posted in Spain and tagged Barrio Santa Cruz, Inquisition, Jewish Quarter, Spain. After over three weeks of struggling through Portuguese, I was looking forward to arriving in Spain and hearing a language I could understand. From the moment we crossed the border on the Southern Coast, I could immediately hear familiar words coming out of the radio on the bus. Our first task was to hail a taxi and get to our apartment~ Easy in Spanish! I even chatted with the taxi driver and asked him about restaurants and good streets to stroll on. I felt like Helen Keller at the water pump- suddenly everything made sense! 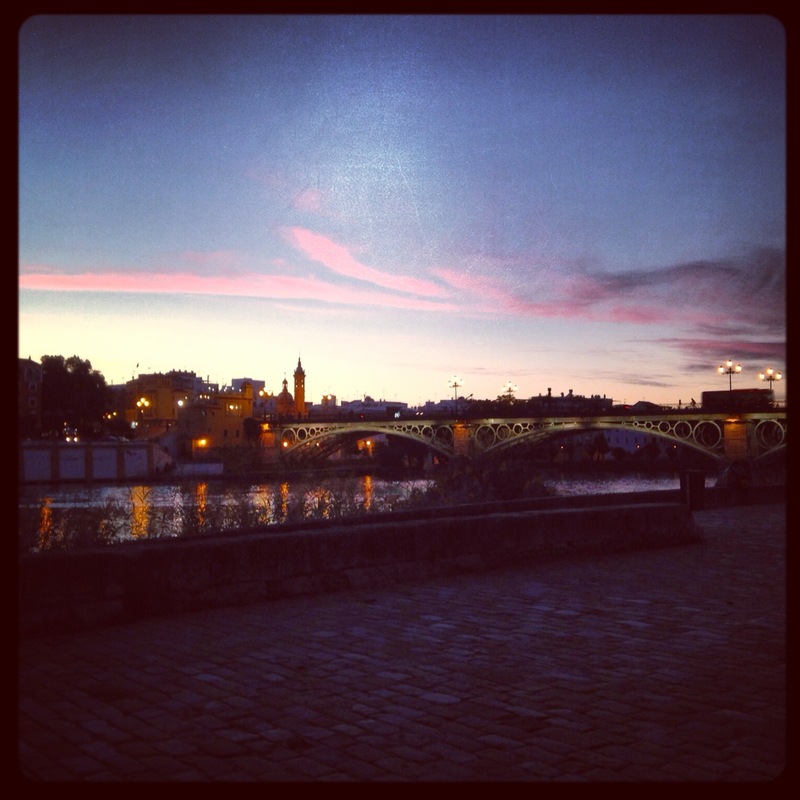 Sunset overlooking the Guadalquivir River. The Isabel Bridge leads from the Historic Center of Sevilla to Triana where our flat is. 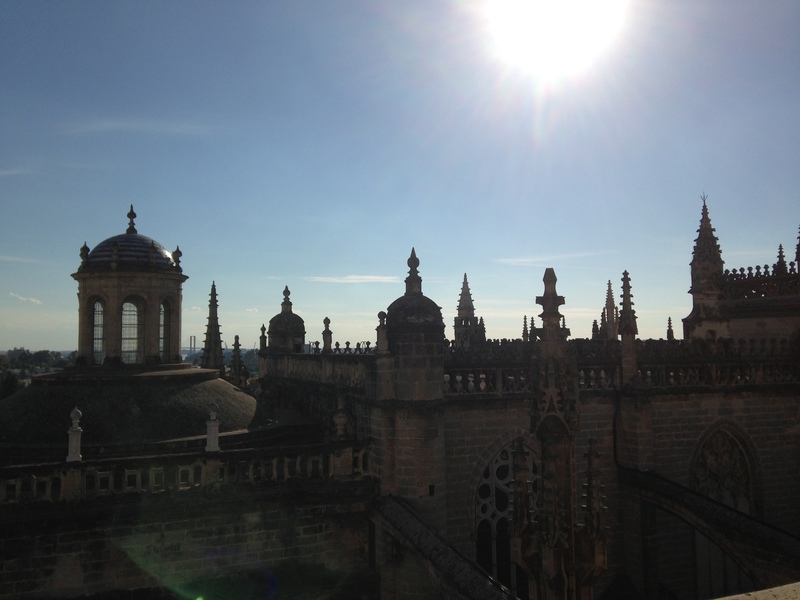 A view from the Bell Tower of Seville’s Cathedral. Our apartment in the Triana neighborhood of Sevilla is on the West side of the river, while all the major tourist sites are on the east side of the river. While one might think this is unfortunate, we saw it as an advantage as we were surrounded by locals; local shops, vendors, parks and schools. Triana reminded us of the local streets in Berkeley/Rockridge. There was a small local market right across the street from the entrance to our building, and a produce vendor two doors down. Isaac and Eden loved being able to run downstairs all by themselves to pick up produce and play at the little playground out front. It was a lively 15 minute stroll through the local streets to a beautiful bridge that dropped us right into the heart of Old Sevilla. Pedestrian Plazas are abundant in Sevilla. 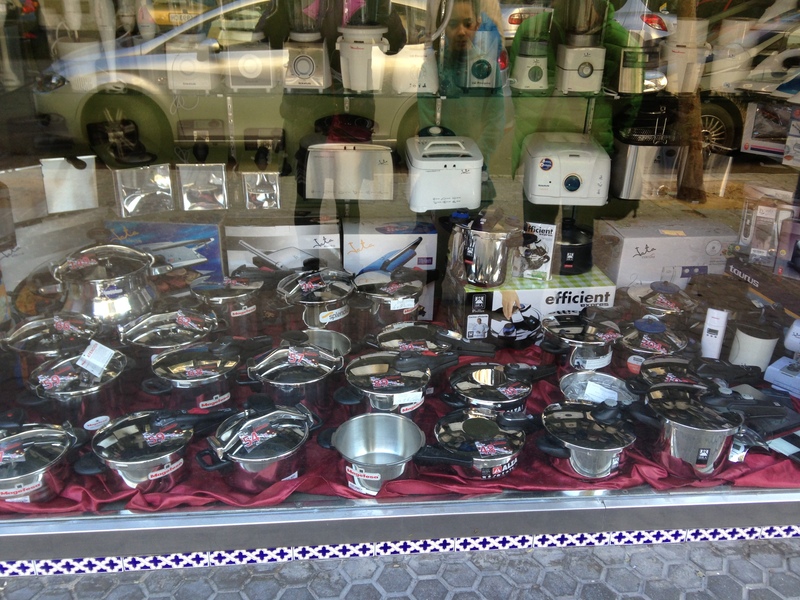 A storefront; A plethora of Pressure Cookers!! 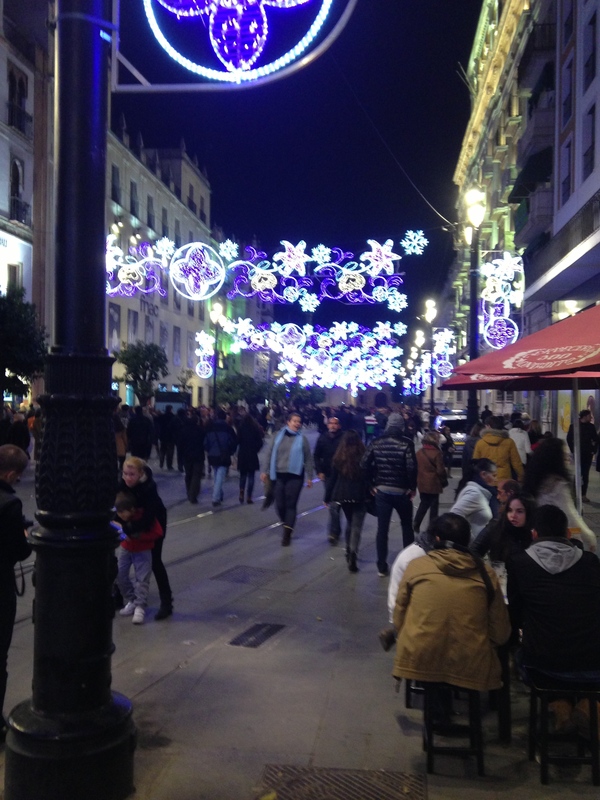 There is a main pedestrian plaza in Triana where cafes spill out on the plaza, families are strolling (and smoking) together, and vendors are roasting chestnuts on the corners. We finally decided to buy a paper cone of chestnuts when we noticed one particular vendor roasting not only the typical brown nuts, but also sweet potatoes! We all have a weakness for those, so we purchased some of each. We sat on a bench in the sun and people-watched while feasting on this street food. 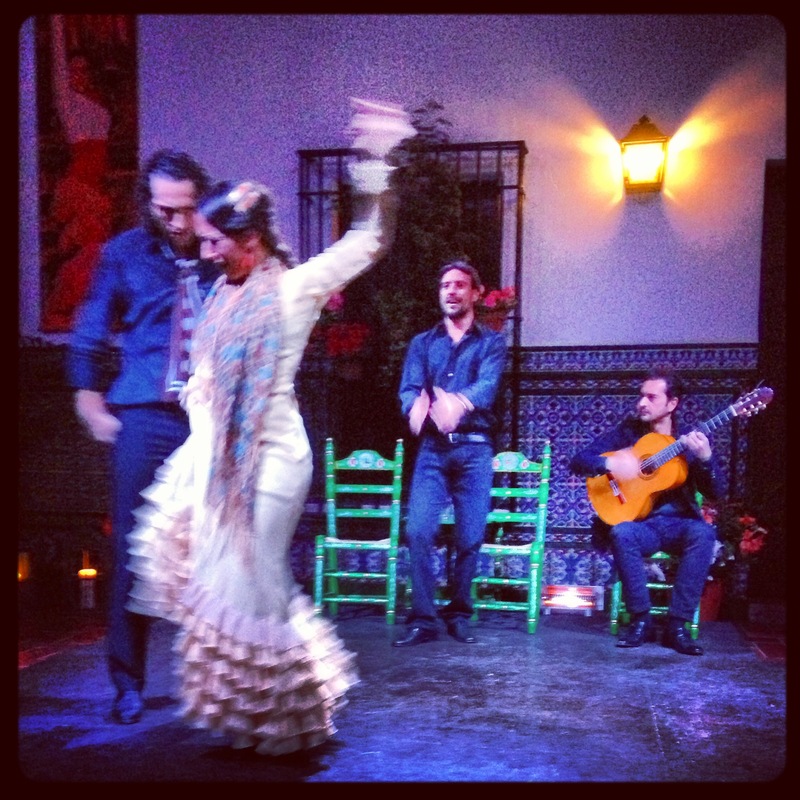 Traditional Flamenco music and Dance. ¡Viva el duende! The historic center of Sevilla is breathtaking. The city takes great pains (and taxes) to clean the streets and sites daily. The stores and storefronts are lively and sophisticated, but approachable. 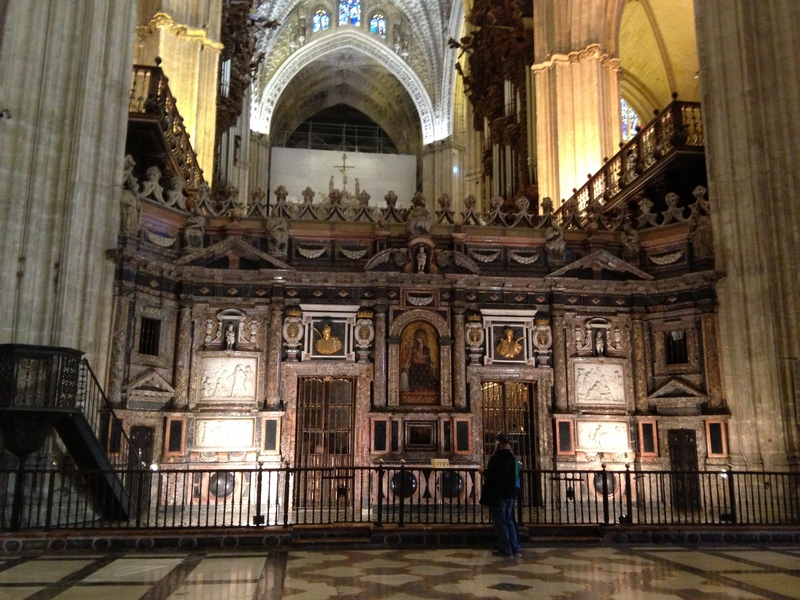 The main Cathedral is the largest in the world, and its grandeur did not disappoint! Next to the Cathedral, ironically, is the old Jewish Quarter, now known as El Barrio Santa Cruz. After the Inquisition, when all the Barrio’s Jews were either killed or exiled, the streets became a slum of sorts, before being refurbished by the city for the World’s Fair in 1929. It is now a romantic maze of narrow streets and intimate squares filled with cafes, bars, Flamenco shows and shops. 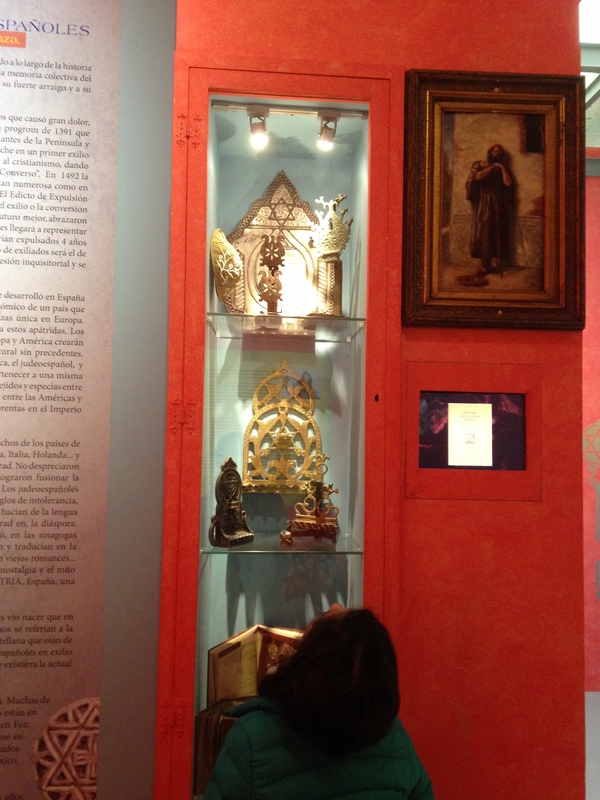 We found a small museum about the history of the Jews in Sevilla and went on an extremely thorough tour with one of Sevilla’s few Jewish youths. He told us so many stories and pointed out so many interesting spots throughout the Barrio. We left the tour with such sadness and with a fresh reminder of how many times in our history that Jews have been unfairly treated. 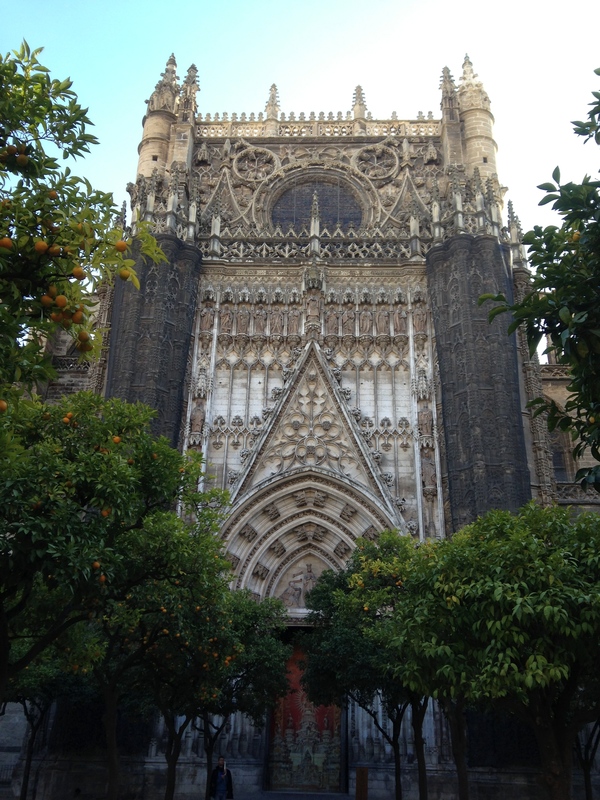 We also felt saddened that there was so little recognition of this history within the city of Sevilla. We hope that this little museum (only a few months old) will continue to grow and educate more and more locals and visitors to this beautiful city. Found Artifacts from the Judería. There were many sites that we visited throughout Sevilla, but my favorite for its elegance and splendor was La Plaza de España. It was built as a monument for the World’s Fair, and is now simply a place of beauty for tourists. Sprawling out in front of the plaza are the formal gardens of María Luisa Park. We really got into the Touristic Spirit there, and rented a Surrey to drive all through the park. Eden’s feet didn’t reach the pedals, but no matter! We strolled all throughout the pathways, around the museums from the World’s Fair, and through the magnificent Plaza. I was in love with it all! The weather was cold enough to keep the throngs of tourists away, but the sun was out! The thinner crowds made the whole experience so much more beautiful. 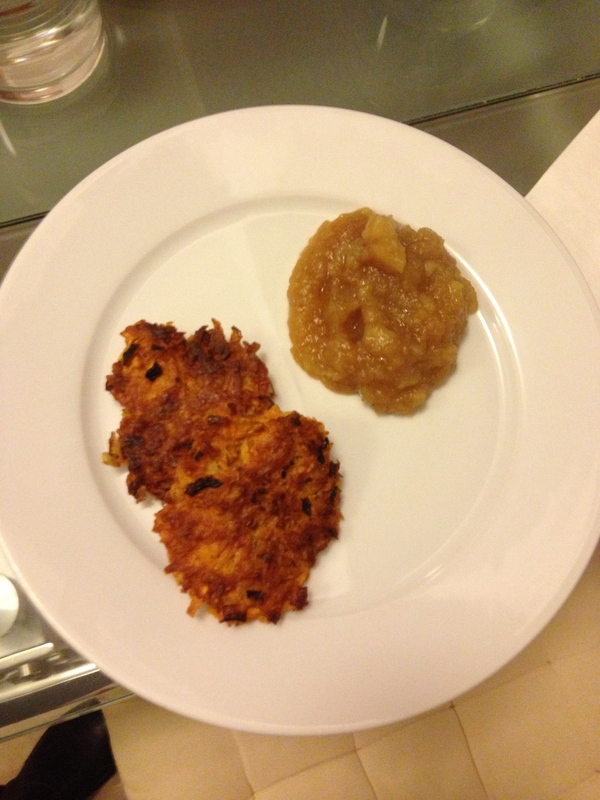 Sweet Potato Latkes and Applesauce at home in Sevilla. The food in Sevilla is not our favorite. Spanish food is full of Pork and shellfish, which isn’t really in our diet. We haven’t felt tempted to try too much of the tapas because of this, so we have been seeking out vegetarian and foreign food options. Don’t worry, we aren’t going to McDonald’s or Burger King (both of which are everywhere in Spain)! But we have found great Indian, Mexican, and creative Vegetarian. I also have been cooking at home most nights; “peasant food” is what the kids call it. We eat black beans and rice with papitas, lentil soup and crusty bread, Cuban chicken soup without the chicken, burritos with fresh guacamole, and even latkes with applesauce! We are more satisfied and more comfortable when we eat at home (not to mention the financial savings!). I am sure we will go broke when we are in Italy. Until then, we splurge on coffee and pastries almost daily as our “dining out” experience. After our time in Sevilla is over, we will rent a car and drive to a spectacular, romantic hill town on a high mesa in Andalusia; Ronda. Isaac is looking forward to taking us through a photographic journey of this beautiful and romantic town. This entry was posted in Spain and tagged Barrio Santa Cruz, Inquisition, Jewish Quarter, Sevilla, Seville.